So what do you believe about the end times? I have been hired/called by 4 different churches. The process was different at each church. As a ministry professor, I am constantly working with my graduating students on how to get their names out to searching churches, how to prepare ministry resumes and the benefits of denominational networking. A church I am very familiar with has been looking for a pastor for over a year now and haven’t found any prospects. As autonomous SBC churches, I am wondering if we connecting churches and leaders incorrectly. I can say with assurance that our process is not efficient, but is our process biblical. Are there biblical mandates in finding, selecting and affirming pastors to lead autonomous congregations? Is this courtship process, with all the dancing, calling, and wooing back in forth pleasing to God? A seeking church has a vacancy and begins advertising and looking. A seeking minister begins floating his resume to seeking churches. The seeking church receives a stack of resumes from the association, state convention, seminaries and from referrals. Potential candidates are contacted by phone/email to check if they are still seeking a position. The time lag is often a difficulty. 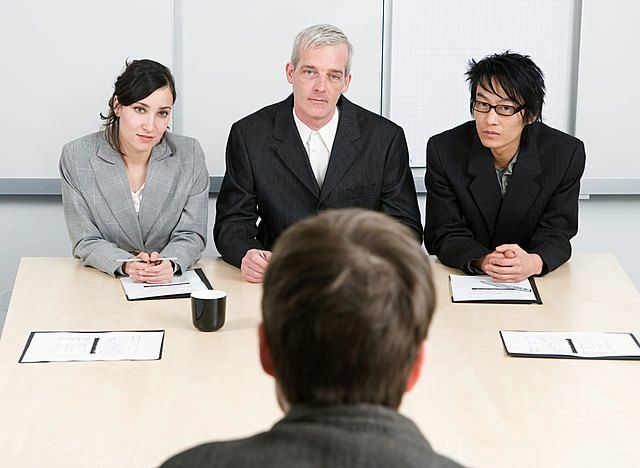 If a candidate is still looking, they may have an initial phone interview with the chairman of the search team. If the phone conversation goes will, the church will send a follow-up packet with a theological questionnaire, maybe some general information about the church and a job description. Once the seeking minister returns the questionnaire, the searching church will call them in for a face-to-face interview with the search team. If that interview goes well, the church will bring them back to see the church to meet the staff and other key leaders. The issue of financial package is finally discussed at this point. If that goes well, the seeking minister will be asked to preach a “trial sermon” or give their testimony in front of the entire congregation. They might have a Q & A time in a small setting. If that goes well, then the church will vote to extend a “call” to the seeking minister and their family to come to the church. The minister will then come and preach the first sermon and join the church. So many steps. So many hoops to go through. So many levels of courtship where everyone is trying to put their best foot forward and no one ever tells the truth about themselves, their pasts, or their present situation. It is all glossed over in the process of GETTING SOMEONE to come. The longer the vacancy, the greater sense of urgency, the more likely a rash decision is going to be made. I am just wondering if we have missed something somewhere. Where did this courtship process come from and how can it be fixed? I’d like to hear more of your thoughts on this. I have been struggling with similar questions myself. There has to be a better, more biblical way. Since the polity of a denomination often imitates the polity of the dominant government of its origin (e.g. baptists and democracy), it is not surprising that the process for selecting a pastor would imitate the employee selection process of the surrounding culture. I’m not sure that is non-biblical. I have been on the selecting side of the process a couple of times. It is definitely not quick, easy, or efficient. But I don’t think any of those are the goal. In my experience, I have seen God move. This is a very “personal” event. The personality of the church and its leader must mesh and be God approved. I think it is wise to have multiple interactions in different settings to get a good understanding of both parties’ personalities. While both sides would like to see writing on the wall, I believe the results I have seen are nothing short of an act of God; and that is definitely inspiring. God has a way of preparing both parties for His work. Sometimes dramatic change is needed, sometimes continuity is appropriate. I have seen other denominations use other methods, and I don’t see that they are as effective in matching the personalities of the leader with the needs of the church. Just my two cents worth.